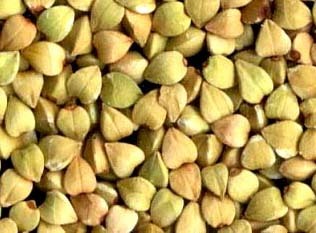 While many people think that buckwheat is a cereal grain, it is a fruit seed that is related to rhubarb and sorrel, making it a suitable substitute for grains for people who are sensitive to wheat or other grains that contain protein glutens. Resistant fibre is a compound shown to lower blood sugar after meals, help weight loss, reduce food cravings and improve diabetes. All versions of buckwheat contain resistant fibre, but the boiled kernels, called groats, contain the most at 6 percent or greater. Buckwheat has several novel nutraceuticals: Rutin, quercetin and other bioflavonoids. These compounds have been shown to strengthen small blood vessels, which can prevent easy bruising, hemorrhoids and varicose veins. Rutin can also help prevent blood clots, lower LDL cholesterol and the production of histamine, which can improve airborne allergies and food intolerances. If you’ve never made it before, don’t worry. Buckwheat is easy to work with. It comes in the form of groats (toasted or raw), noodles and flour. The raw groats are available completely raw or sprouted. The completely raw groats work great for making a grain-free, hot cereal.